Since the major reforms implemented 10 years ago transformed the Dutch healthcare system, it has frequently been invoked in American media as a potential model for healthcare provision in the United States. Most recently, Paul Krugman praised the Dutch system as a potential option for “incremental improvements” to the Affordable Care Act. This interest in the Dutch healthcare reforms is not new. Already in 2007, the Bush administration in its final days sent the Health and Human Services Secretary, Michael Levitt, to study the Dutch and Swiss healthcare systems. Around the same time, a bipartisan pre-ACA attempt at healthcare reform was inspired by the same Dutch model. The Dutch healthcare reform is invoked by liberals like Krugman as well as by the American right as an example of a “market-driven healthcare reform,” more suited to the US than the single payer approach supported by increasing numbers on the left. At first glance, the Dutch reforms may seem a success. 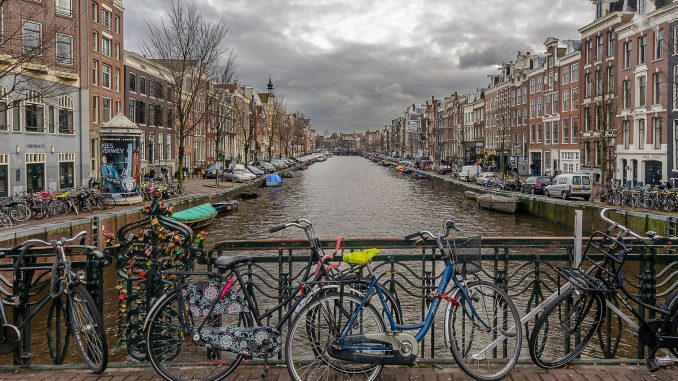 A frequently cited ranking system, provided by the Swedish health policy think tank Health Consumer Powerhouse, has for several years in a row placed the Netherlands at the top of the list of European healthcare systems in a ranking across 48 indicators. Critics – such as the Dutch Socialist Party – rejected the findings, declaring them based on false data and pointing to funding for the research by the pharma industry and the Thatcher-founded New Direction Foundation. But even if we take the data for granted, when examined more closely, the nature of the reforms becomes clear. As an allegedly “market-driven” alternative to single payer, it fails to hold up. Liberalization was certainly the aim of the reforms. The first proposals for the healthcare reform were made as early as 1987, and were very much part of the neoliberal turn of that period. A committee led by a former Philips director, Wisse Dekker, recommended increasing competition among doctors and health insurers, with the primary aim of controlling costs in an aging population. Due to considerable public opposition, it took until 2006 before they were eventually implemented in a series of legislative stages lasting until 2012. The justification was the need for lowering costs, increasing “personal responsibility,” and improving quality through competition. But little of this has materialized in the new system. The market competition that the system has is heavily regulated and subject to a complex system of subsidies, interventions, and price-setting by the state. The obligation to purchase health insurance has remained. The main difference is that individuals now buy health insurance directly from competing health insurance companies. The basic package, which covers most forms of curative care, is defined by the government and health insurers are obliged to accept anyone, regardless of risk factor, for provision of this package. Supplementary insurance is then left to the free market, but covers only elements left out of the basic provision, such as physical therapy, cosmetic surgery, and some forms of dental care. There exists a provision that all care covered by the basic package must adhere to strict norms of speed and quality of care within the insurers’ provider portfolio. The financing of healthcare is also highly opaque. Both employees and employers contribute to the payroll tax spent on healthcare, part of which goes into a Risk Equalization Fund. The state then compensates the insurance firms for the price of this basic package according to a nominal or shadow price. Besides the supposed quality improvements due to the increased competition in the Dutch system, a major “demand suppressing” and thereby “cost controlling” factor is the introduction of a considerable healthcare insurance deduction. There exists a compulsory deduction of €385 per year, on top of an insurance premium of about €1200 per year (for the basic package). According to the government, this deduction has the specific function of “increasing cost awareness.” One can further increase the deduction to a maximum of €835 per year, in order to reduce this premium. There is a system of state subsidies, essentially in the form of vouchers, in order to compensate the poorest for the costs of the healthcare premium. Healthcare for those under the age of 18 is still paid for by the state in its entirety. The results of the increased competition within this system have been far from encouraging. It has done little to increase quality or reduce costs. By OECD norms, the quality of healthcare in the Netherlands was and remains decent (for a rich country), but the country’s expenditures on healthcare remain among the highest. The effort to control costs has been increasingly foisted onto the population, so that low and lower-middle income individuals end up paying between 20-25% of income in healthcare costs, as the compulsory deduction has been rising each year. Meanwhile, the voucher system has all the flaws of means testing in social policy. Competition has mainly increased bureaucratization of the healthcare system. There are over 1400 different insurance packages, making choice for consumers extremely complicated, while the healthcare “commodity” paid for by the state, the Diagnostic Treatment Combination, has at least 3500 different combinations. The Dutch system now has over 3000 different health indicators that have to be measured on an ongoing basis. All this constitutes extra unpaid work for healthcare providers, leading to record levels of exit and sick leave in the healthcare sector. And every year the state, insurers, and other stakeholders have to renegotiate the entire basic health provision. Such successes the system does show it owes considerably to previously existing institutions, e.g. its excellent geographical coverage in healthcare facilities or how the medical system benefits generally from the nation’s high education levels. On the whole, the Dutch system does not do poorly, but fails to achieve any of the putative benefits of competitiveness while falling short of the solidarity and accessibility of a national healthcare system. In trying to combine liberal market ideology with the demands of traditional social-democratic solidarity, the system provides neither well. While Dutch people still rate their own health situation quite well, a majority (57%) want to abolish the new healthcare system and see it replaced with something more akin to single payer.